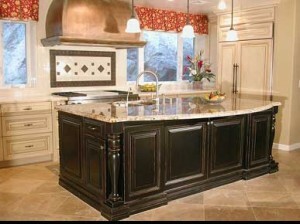 Besides the style and design of your kitchen cabinets, another important aspect is the materials from which the cabinets are made. 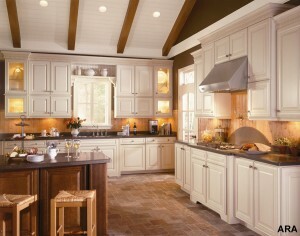 Maple is very important in what concerns cabinets. 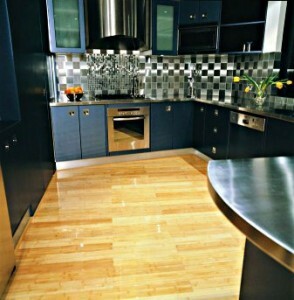 It’s one of the most durable and versatile wood types and it can for fine finished because of the uniform grain. 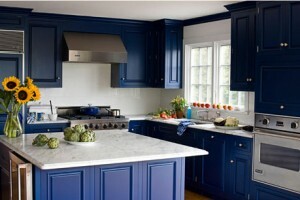 The wood can be painted and stained without any problem, but it can change its color if it’s positioned in the sun. Melanine is not much of a base material, but a coating. 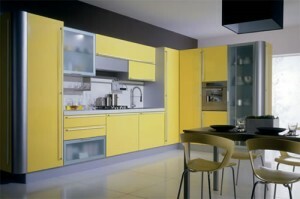 It’s role is to protect any materials from scratches, stains and flames. 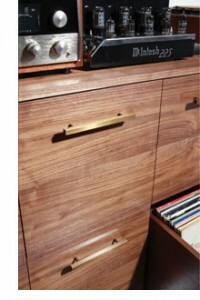 It can be found in a wide range of styles – retro, plain or faux wood grain. Melanine’s resistance depends on the materials it’s applied to. Also the coating is waterproof, but if cracked it can sag quickly. 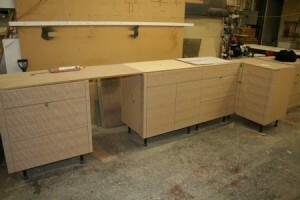 Metal cabinets have been reinvented and have become quite popular. 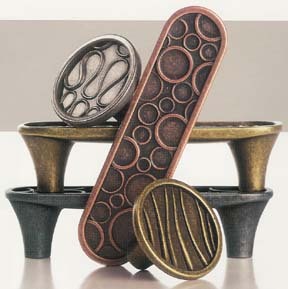 They can be made from various types of metals, like stainless steel and copper. 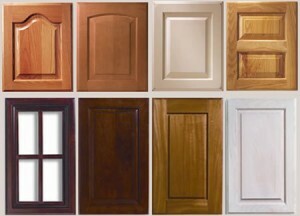 It depends on the style you are looking for. 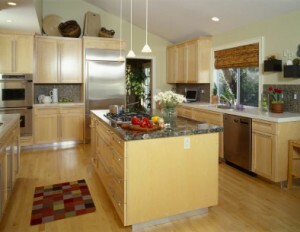 For example, stainless steel and provide a warm and inviting kitchen if added the necessary accessories. 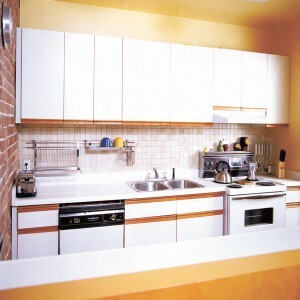 Because metal cabinets are noisy, many manufacturers add the metal over other materials, like plywood or pressboard. 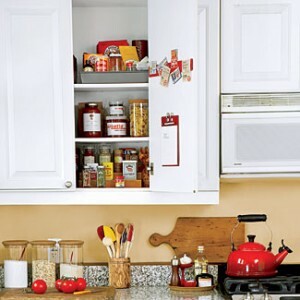 This makes the cabinets less noisy, but also less durable. 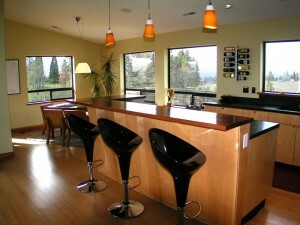 Oak is another type of wood very popular, mainly because its durability and distinct look. 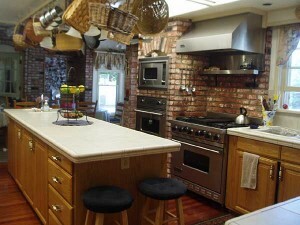 This type of wood is perfect for country-styled kitchens, but it’s not good for modern designs. It can also be stained and painted. 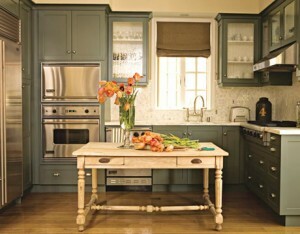 In the last few years, bamboo has become very popular because it’s an eco-friendly material. It’s a fast going plant and it’s very versatile when it reaches maturity. 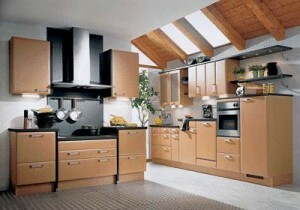 Bamboo cabinets have to be veneered because bamboo plants do not grow very thick. 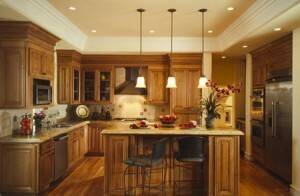 It doesn’t really matter what materials you will use for your cabinets as long as you like the design and style. 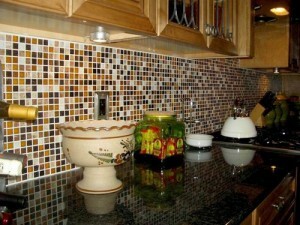 They will certainly add value to your home and will last for years. 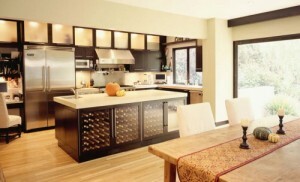 Should you buy custom made cabinets?